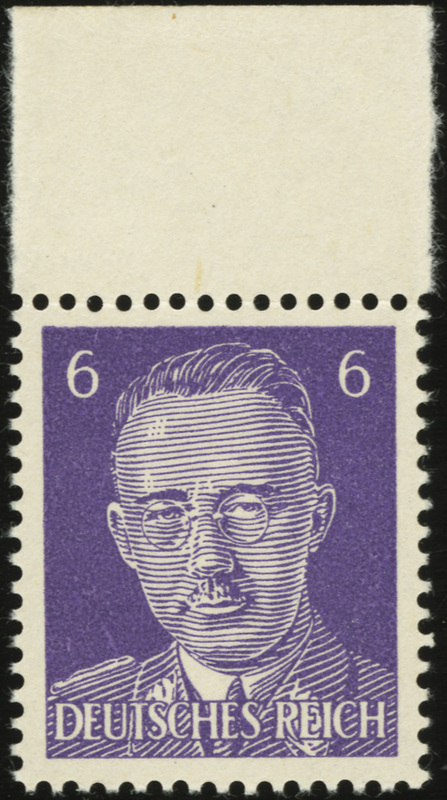 In 1942-43, the British created this propaganda forgery depicting Heinrich Himmler, Reichsführer of the SS. 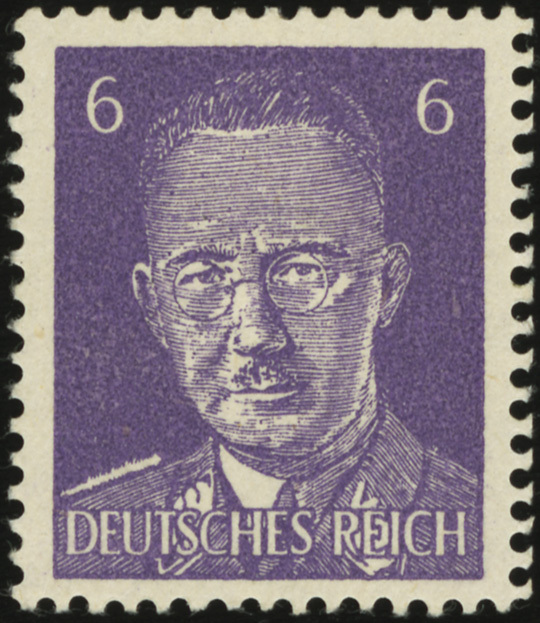 The stamp design is an imitation of the German Hitler definitives from 1941-44, specifically MiNr 785. Two major varieties exist. 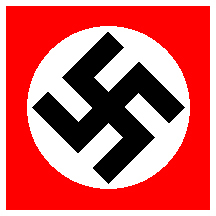 The first printing (28 II) from December 1942 has narrow lines, poor shading, white splotches on the face, and overall poor quality in the design. The April/May 1943 printing (28 I) has wider lines, and overall a much better, more attractive design. It is also much rarer. *Note that the earlier design (1942) has the later catalog number (II) due to the order in which these issues were discovered and cataloged. For more on this issue, see Propaganda and Espionage Philately, by SGM Herbert A. Friedman (Ret. ).